South-Tek Systems, a leading engineer and manufacturer of Nitrogen Generators, is proud to help serve our U.S. Military troops overseas with efficient, time-saving, and cost saving Nitrogen Generators. As of this month, we have fulfilled a contract to supply one of our Nitrogen Generator systems to a U.S. Military air base in Iraq and are actively working to fulfill pending contracts. N2 gs is used in a variety of Military applications (see: Nitrogen Uses in the U.S. Military). Through our GSA Contract and completed EMIP Review, South-Tek Systems is fast becoming a go-to resource for on-site generation of high purity Nitrogen gas. The benefits of a Nitrogen Generator for Military purposes include efficiency, safety, reliability, performance, and ease-of-use. Our Membrane Technology used in designing compact N2 Generators allows for generating high purity Nitrogen gas in the field as needed. We also design PSA Technology for tank mounted or skid mounted generators for more stationary use on base. South-Tek Systems is a GSA Contract Holder with extensive experience serving the N2 gas generating needs of the U.S. Military forces. Please contact South-Tek Systems to inquire further about our products designed for military use: 888-526-6284. Nitrogen gas is widely used in food packaging processes and in food storage in order to preserve freshness, taste, texture, and flavor for longer periods of time. We've written about the benefits of Nitrogen for the food and wine industry - particularly with food and beverage packaging - in earlier posts including Keeping Food Fresh with a Nitrogen Generator and Modified Atmosphere Packaging (MAP). 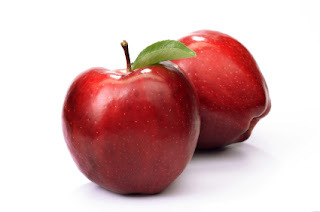 Nitrogen gas can also be used for creating and maintaining a Controlled Atmosphere (CA) for food storage, specifically for fruits such as apples and pears that "breathe" by taking in oxygen and giving off carbon dioxide in the ripening process. By creating a storage atmosphere that carefully controls temperature, oxygen, carbon dioxide and humidity levels, apples, pears, and other produce can remain fresh and crisp much longer because the ripening process will be significantly slowed. Why Use a Nitrogen Generator for Controlled Atmosphere Storage? Nitrogen is often used in the Controlled Atmosphere Storage of fruits. Using a Nitrogen Generator to supply the appropriate levels of N2 gas, the CA Storage Room experiences a reduced amount of oxygen and humidity to hold off the ripening process and preserve and maintain the freshness of the fruit. A Nitrogen Generator is an ideal way to help manage a Controlled Atmosphere Storage Room. The PSA Generator or Membrane Generator technology produces high purity N2 gas directly from the air without use of chemicals or other harmful toxins. An N2 Generator ensures you will never run out of gas and eliminates the need for costly gas deliveries and handling & storage of high pressure gas cylinders. South-Tek Systems is a engineer and manufacturer of Nitrogen Generators used in a wide variety of industries, including Controlled Atmosphere Food Storage. Contact South-Tek Systems today to learn how your company can benefit from using a Nitrogen Generator for your CA Storage Room: 888-526-6284. Nitrogen is a useful and important gas for the beverage industry - from breweries to winemakers to restaurants and bars. N2 gas can be applied in a number of ways to help preserve the product, streamline the production process, eliminate the threat of oxidation which could alter the taste and freshness of the beverage, or simply help deliver the best possible drink to a consumer. How is Nitrogen Used in the Beverage Industry? Nitrogen gas is a safe, clean, dry, inert gas that is typically used for purging but can also be used for preservation or can be blended with CO2 for the optimal level of carbonation. Whether it's sparging, blanketing, or flushing, Nitrogen can be used in wine transfer, bottling, and topping. It's also used with the end product in terms of preserving an open bottle of wine and preventing oxidation. South-Tek Systems manufactures the WineLast™ Wine Bottle Nitrogen Purging System ideal for restaurants and bars serving wine by the glass who need to maintain freshness in the open bottles. Breweries use Nitrogen to control oxidation and maintain freshness throughout the brewing process and in the bottling and canning stages. Restaurants, pubs, and bars use Nitrogen mixed with CO2 to produce the optimal beer gas blend for draft beer recommended by brewers. This mixed beer gas pushes the beverage from the keg to the taps to produce a ideally carbonated draft pour. This process eliminates over-foaming, allowing estbalishment owners to reap more profits from their draft beer service in addition to serving high quality beverages from the first glass from the keg to the last. South-Tek Systems engineers and manufactures the BeerBlast™ Mixed Beer Gas Dispense System for restaurants, bars, and event centers to produce this ideal beer gas blend and optimize their draft beer service. To learn more about how a Nitrogen Generator can benefit your brewery, vineyard, winery, restaurant, or bar, please contact South-Tek Systems today: 888-526-6284. There are a vast number of industries who require careful and precise packaging for their products. 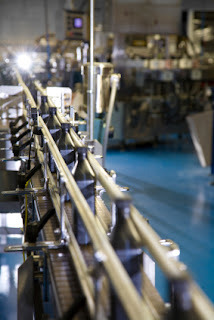 The packaging system they use affects the integrity and overall quality of the product. Packaging may prevent breakage or crushing of the product or it may ensure a sterile environment to maintain optimum safety. 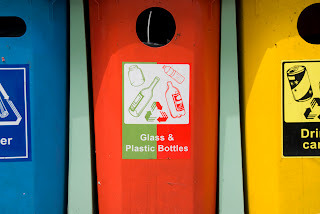 How Does Nitrogen Packaging Protect Your Product? Nitrogen is a clean, dry, inert gas that can be applied to an environment to take the place of oxygen. 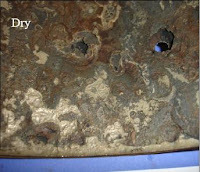 Oxygen can be a factor in corrosion, combustion, decay, bacteria growth and other processes that will undermine the quality and integrity of a product. By replacing oxygen using a Nitrogen purge within a sealed package, the packaged product will last longer, stay clean and protected, and will have preserved taste, color, flavor, and texture. A Nitrogen Generator can be used to administer a Nitrogen purge for packaging in a more efficient and cost-saving manner compared to using high pressure N2 cylinders. South-Tek Systems engineers and manufactures Nitrogen Generators for use with any kind of packaging needs - food, medical, electronic, and more. 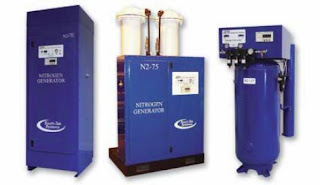 Contact South-Tek Systems to learn how a Nitrogen Generator can benefit your business today: 888-526-6284. Modified Air Packaging - or MAP - is a process used primarily in the food packaging industry to keep food fresh, preserve taste and texture, and ensure safe delivery and storage. Why Do We Need Modified Air Packaging? The biggest threat to food packaging and preservation is oxygen. Oxygen reacts with the food causing oxidation and affecting the quality, taste, texture, and safety of the product. If oxygen can be safely reduced or eliminated within the packaging during transportation and storage (without adding any other harmful elements to achieve this), then the food will be good as new when it reaches it's destination. One of the best ways to reduce the level of oxygen within food packaging is to use Modified Atmosphere Packaging which is to replace the oxygen with an inert gas, generally Nitrogen. This method increases the shelf life of processed foods without the need for vacuum packaging, preservatives, or freezing that might ultimately affect the end quality of the food. Using a Nitrogen Generator for the Modified Air Packaging process is an efficient and economical way to apply N2 gas. A Nitrogen Generator produces high purity N2 gas on-site and on-demand without risk of running out and without the need for handling and storing extra high pressure N2 gas cylinders. Nitrogen Generators use a simple PSA Generator or Membrane Generator Technology to separate and capture the N2 molecules directly from the air around us. South-Tek Systems is a leading designer and engineer of Nitrogen Generators. Using their unique Flow Verification Program, clients are fitted with the most appropriate sized N2 Generator for their specific application, providing efficient operation and confidence in getting the job done right. Contact South-Tek Systems today to see how a Nitrogen Generator can benefit your food packaging business: 888-526-6284. Nitrogen gas is often used for purging, a process that is utilized in a wide range of industries - from Gas & Oil to Winemaking and Food Packaging. Nitrogen gas is a clean, dry, inert gas that makes up 79% of the air we breathe. A Nitrogen Generator effectively separates and isolates the N2 molecules from the air, allowing it to be applied to an atmosphere that requires little to no oxygen for safety or preservation purposes. In certain situations, Oxygen can be a highly dangerous presence, providing a vital element for combustion or corrosion. In order to displace Oxygen and eliminate these threats, a high volume of Nitrogen gas is pumped into an atmosphere, vessel or closed system of piping with a continuous, uninterrupted flow. Situations where combustion is a threat include aircraft fuel tanks, chemical processing, and oil and gas wells. 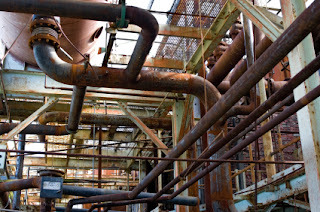 Situations where corrosion is a threat include a power plant boiler, HRSG layup, and fire protection systems. Nitrogen purging affects not only the safety of an atmosphere, but also the quality of the overall system or final product. As mentioned earlier, N2 gas is applied to scenarios where combustion or corrosion can undermine the safety and performance of a system or process. But Nitrogen purging is also used to ensure the quality of a product, as in Modified Atmosphere Packaging (MAP) used with food packaging. MAP is used to minimize the Oxygen within packaging to prevent spoilage and preserve properties such as aroma, flavor and texture of the packaged foods. 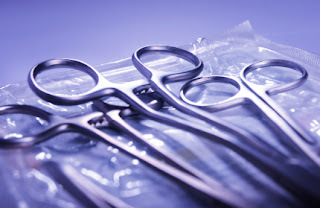 Nitrogen purging is also used with Medical Device Packaging to maintain sterility, freshness, and shelf life in an effort to preserve cleanliness and get the most accurate test results possible. Since N2 purging requires a continuous and uninterrupted flow of N2 gas, a Nitrogen Generator is the most economical and effective source of N2 available. Where high pressure N2 cylinders need to be switched out with stored extras to maintain a flow - always with the threat of running out during peak use - a Nitrogen Generator supplies a steady source of high purity N2 gas on-demand at any given time. South-Tek Systems engineers and manufactures Nitrogen Generators for applications in a wide range of industries, including all the applications mentioned here as well as many others. Contact South-Tek Systems to learn how your business can benefit from having a Nitrogen Generator on-site: 888-526-6284. Power plant gas turbine natural gas fuel lines need to be purged during commissioning or during periodic start-up. 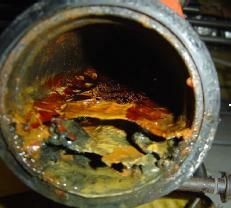 Typically, the purge pressure required is approximately 600 PSI to provide sufficient purging during this process. Nitrogen, being inert and extremely dry, has proven to be a safe, reliable, economical, “green” solution to providing such high pressure purge to meet the gas turbine manufacturers’ or plant operations recommended start-up procedures. Nitrogen has been used for years to purge high pressure lines power plant gas turbines and similar applications. Nitrogen, which makes up 79% of the air we breathe, is the perfect “green” solution for purging gas turbines. Nitrogen is inert and when you generate your own Nitrogen at your facility you can also boost the Nitrogen for storage in high pressure cylinders for later use. In the past, power plants have purchased either banks of high pressure cylinders or liquid bulk Nitrogen to provide this form of purging protection. Today, with the installation of a Nitrogen Generator at your facility, you can generate your own nitrogen at a fraction of the cost versus purchasing Nitrogen cylinders or bulk liquid Nitrogen. Plus you can generate the Nitrogen on demand, and never run out. The Nitrogen Generator simply separates mechanically, the Nitrogen molecules from the other molecules found within the air and stores the Nitrogen until needed for your process use. 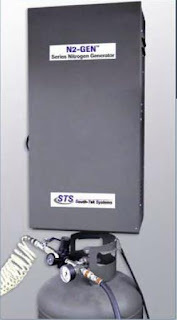 South-Tek Systems offers a complete line of reliable, cost effective Nitrogen Generators sized for your application. Using our Flow Verification Program, we are able to ascertain the specific flow rates of Nitrogen required for your facility and a Nitrogen Generator can be sized and installed at your facility accordingly, allowing you to realize the significant cost savings yielded by this technology. 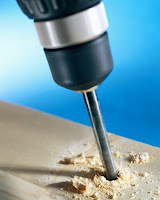 Call us today at 888-526-6284 or contact us through our website: http://www.southteksystems.com/contact-us.asp. Bacteria are microorganisms that grow in soil, water, and organic matter as well as living plants, animals, and people. While most bacteria are harmless (and some are even beneficial), there are a few strains of bacteria that are pathogenic and can cause harmful bacterial infections. Bacteria can grow and divide extremely rapidly, especially in the presence of available nutrients. How Can I Prevent Bacteria Formation? Bacteria, as well as mold and mildew, can start to form, grow, and reproduce in the presence of oxygen, warmth, and moisture. Removing oxygen from an atmosphere for packaging or storage eliminates the potential for harmful bacteria growth. This can be applied to food packaging and storage as well as chemical processing and even to sterilization for cleanrooms and medical device packaging. Nitrogen is a clean, dry, inert gas that is often used to absorb moisture and displace oxygen in an environment. The application of N2 gas effectively removes oxygen and prevents bacteria formation as well mold and mildew. Why Use a Nitrogen Generator for Bacteria Elimination? Using a Nitrogen Generator to eliminate and prevent harmful bacteria is an efficient, reliable, and cost effective solution compared to using high pressure N2 gas cylinders or bulk liquid Nitrogen. Using a simple, straightforward PSA Generator or Membrane Generator technology to isolate and capture N2 molecules from the air we breathe, a Nitrogen Generator essentially produces high purity Nitrogen from thin air. It is reliable and safe, easy to maintain, and won't ever run out of N2 gas. South-Tek Systems engineers and manufactures Nitrogen Generators for a wide variety of applications, including bacteria elimination. Our Flow Verification Program ensures that you'll be fitted with the most appropriately sized generator for your specific application. Contact South-Tek Systems today to find out how our Nitrogen Generators can help make your production more efficient, more safe, and less costly: 888-526-6284. 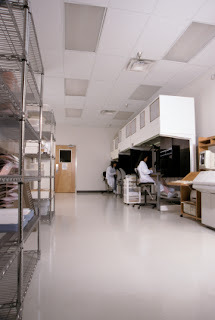 A cleanroom may be used in manufacturing, in the pharmaceutical industry, or in a scientific research lab. It provides a controlled atmosphere to reduce contaminants such as airborne particles and dust. The essence of a cleanroom is to reduce environmental contaminants by controlling air flow rates and direction, pressurization, temperature, and humidity. This provides the cleanest possible environment for manufacturing, packaging, testing, or research. Clean rooms may utilize inert gas systems to maintain a specific air pressure and to control humidity levels. Nitrogen is often used as the inert gas in this scenario. Nitrogen Generators are an alternative to bulk liquid N2 or high pressure gas cylinders. A Nitrogen Generator produces high purity N2 gas on-site and on-demand and may be customized according to the flow rate capacity of the cleanroom. It is a safe, reliable, and cost efficient source of Nitrogen gas, ideal for cleanrooms because of their need for a continuous controlled environment. South-Tek Systems designs and manufactures Nitrogen Generators for use with cleanrooms. Using their unique Flow Verification Program, South-Tek has the ability to accurately measure your cleanroom flow rate requirements and design the optimum Nitrogen System for your operation. Contact South-Tek Systems today for more information: 888-526-6284. South-Tek Systems, a company dedicated to designing and manufacturing Nitrogen Generators, has been awarded defense contracts with the U.S. military to supply their Nitrogen Generator products to different sectors of the military, including the Marine Corps. South-Tek Systems is featured in a Wilmington, N.C. Star-News report about local southeastern North Carolina businesses who are benefiting from defense contracts with the U.S. military. The article states that approximately 325 Wilmington area businesses hold defense contracts to do business with the military and "that the word only recently has gotten out about the enormous opportunities to make money from the U.S. government." Charles Metzler, industrial and military sales manager for South-Tek Systems, was quoted in the article regarding his experience in getting qualified to sell to the U.S. government and then actually securing defense contracts. South-Tek makes a big and deliberate push to promote their Nitrogen Generators to the military bases and has had success in getting their products into the hands of the Marine Corps. Nitrogen Generators produce Nitrogen gas on-site and on-demand using a simple technology that separates and captures the N2 gas present in the air around us. They are meant to replace delivery of hundreds of high pressure cylinders of the gas and are more efficient, reliable, and cost effective. Nitrogen is "the most widely used gas on the market," says Metzler, and Nitrogen Generators make it easier to produce high purity N2 gas as-needed. South-Tek Systems manufactures a range of Nitrogen Generators from the compact, portable N2 GEN Series, to the skid mounted S Series, to the high pressure HP Series. Their generators can accommodate a wide variety of applications and can be used for the military both in the field and on the base. Companies that specialize in food packaging require a solution for keeping the food fresh, preserving the taste and texture, and ensuring safe delivery throughout its journey from the warehouse to the shelf to the consumer. An ideal solution to solve each of these issues is Nitrogen gas. Using Nitrogen to blanket food packaging helps to eliminate the presence of oxygen. Oxygen reacts with the food causing oxidation and affecting the quality, taste, texture, and safety of the product. Food packaging companies use Nitrogen for modified atmosphere blanketing (MAP) or controlled atmosphere (CA) to eliminate oxygen that might cause bacteria or virus growth and keep food safe and preserved for consumption later in its shelf life. Learn more about Food Packaging Using Nitrogen Gas. Because large quantities of Nitrogen are required for atmosphere blanketing with food packaging, the most ideal method for administering the gas is with a Nitrogen Generator. Nitrogen Generators help companies save money and work efficiently because they produce Nitrogen literally from thin air and will not run out of the gas supply. Avoid costly run-outs, switching tanks, N2 gas company contracts, high pressure cylinder delivery, handling and storage all with a Nitrogen Generator. Depending on the size and model Nitrogen Generator a company needs, they may see a return on investment (ROI) in 18-24 months, plus they eliminate the hassle of dealing with the gas company, storing extra cylinders, and potentially running out of gas at a critical point. South-Tek Systems is a designer and manufacturer of Nitrogen Generators for a wide range of industries, including the food packaging industry. Using the Flow Verification Program, they are able to suit you up with the best sized N2 Generator for your specific needs. Contact South-Tek Systems today to learn more about how a Nitrogen Generator can save money, improve efficiency, and preserve quality: 888-526-6284. The process of making wine involves many steps, from growing the grapes to picking them and crushing them to get the juice or "must." The must is then pressed, the juices extracted and poured into a vat. The next step involves settling - letting the juices settle so that the grape sediment separates and drops to the bottom of the vat. The juices are then divided up and transferred among different vats where they will settle even more. The next step is fermentation where yeast is added to convert the natural sugars into alcohol. Finally, the wine is ready to be bottled. Nitrogen gas is a clean, dry, inert gas that is safe to handle and easily accessed with a Nitrogen Generator. Nitrogen comprises 79% of the air we breathe and a Generator uses a simple technology to mechanically separate the Nitrogen molecules from the other molecules found in the air, isolating the Nitrogen gas in a storage tank until needed. Sterilizing the bottles - Nitrogen is used to flush the wine bottles before and after bottling to sterilize them. Using Nitrogen helps eliminate the need to use water in the bottles before adding the wine. Flushing the hoses - Nitrogen is pumped through hoses, pumps, and tubing just prior to bottling for sterilization and to flush out the oxygen. Reducing Oxidation - The turbulence that results from bottling has the potential to mix a lot of air in with the wine, increasing the risk of oxidation that will turn wine stale before its time. 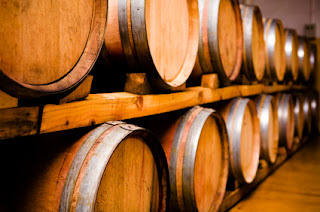 Oxygen reacts with a microbe found in wine and starts converting the ethyl alcohol in the wine into acetic acid, turning wine into a more vinegar-like substance. Nitrogen works to displace the oxygen and preserve the wine during bottling. Use of Nitrogen during wine bottling has many advantages, especially when produced using a Nitrogen Generator as an alternative to N2 gas cylinders. The high pressure cylinders need to be handled with extreme caution and require that you rely on a gas company for refilling. You also run the risk of running out of N2 gas with a cylinder. A Nitrogen Generator is safe, reliable, won't run out of gas, produces N2 on an as-needed basis, and is even more cost effective than using cylinders. You can ensure that your wine will not risk oxidation during bottling with a Nitrogen Generator. South-Tek Systems engineers and manufactures Nitrogen Generators for use with many industries, including the wine making industry. Contact South-Tek Systems to see about getting a Nitrogen Generator ideally suited to your winery: 888-526-6284.